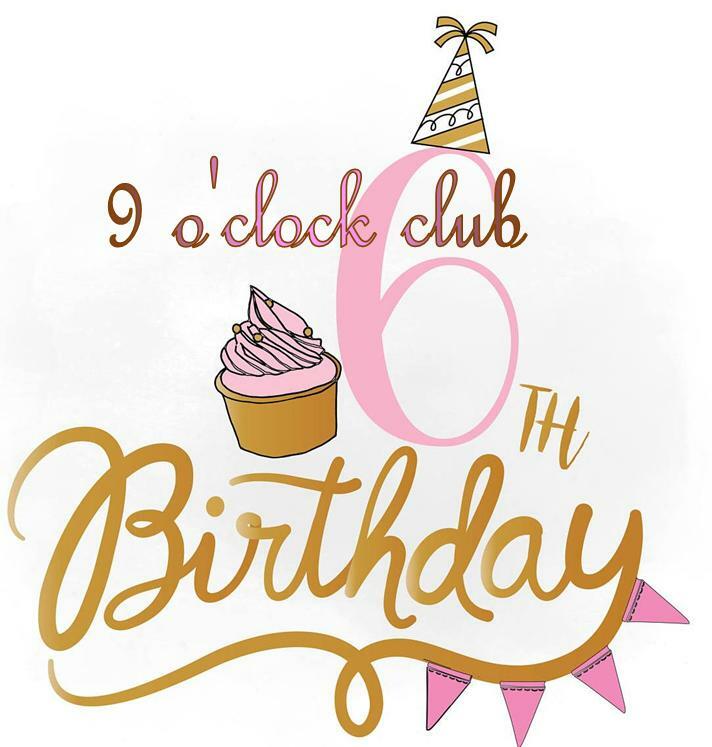 NINE O'CLOCK CLUB'S 6TH BIRTHDAY. THANK YOU FOR COMING EVERYBODY. Enough food to feed an army! 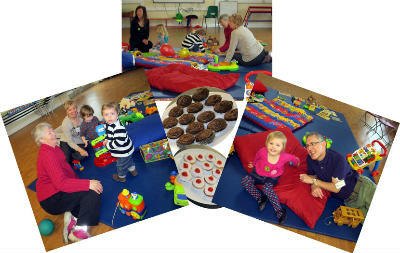 Thank you for coming everyone ... we had a lovely time. 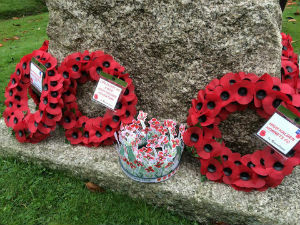 and laying our wreath at the Service of Remembrance at St.Mary's Church. 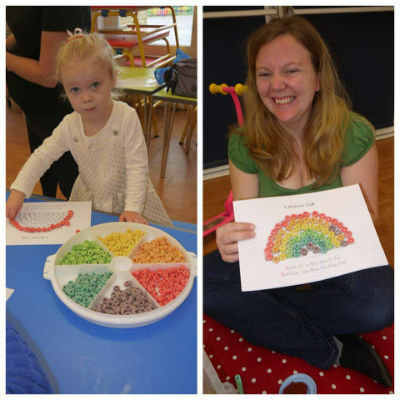 On 5th October we made 'Fruit Loop" rainbows after reading "WOW Said the Owl"
We made these little fellas on Thursday 20th September! July 2017 : Time for the big little ones to head off to school. 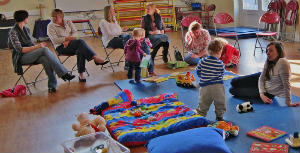 and if you know any other little ones or babies that would like to come, bring them along. 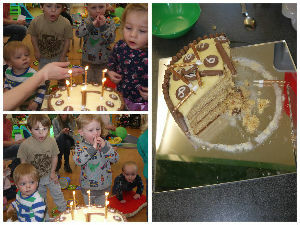 On Thursday 16th March 2017 we celebrated our 5th Birthday. We hope you have a wonderful time with many happy moments shared and memories made. 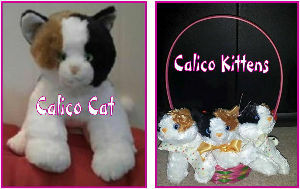 Oh Calico Cat, you spoilt little cat! 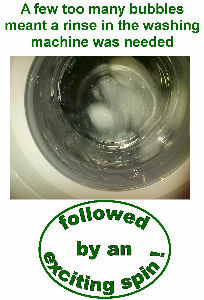 Now don't go thinking you can have such luxury every week! 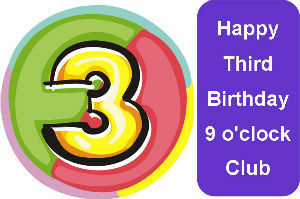 A lot of our members were unwell this week and so we weren't able to have 9 o'clock club on Thursday. 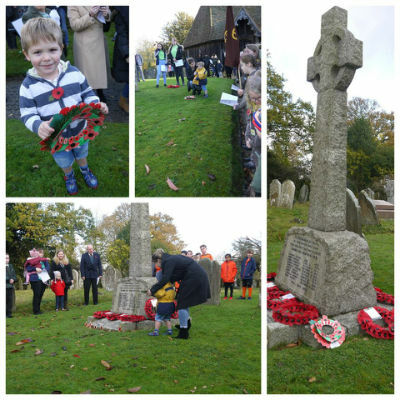 Thank you so much to Teddy for doing an amazing job of representing the 9 o'clock club and laying our wreath at the Service of Remembrance at St.Mary's Church. 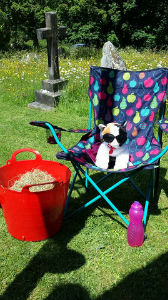 Calico is off on his holidays! 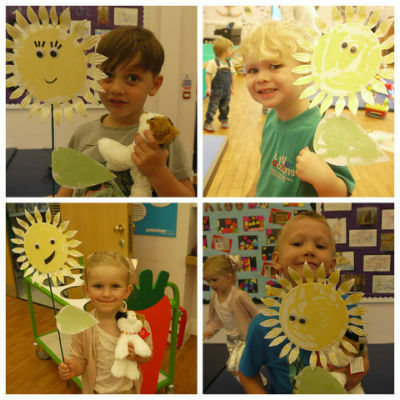 It was lovely to see so many of you this morning at our last group of this school year. 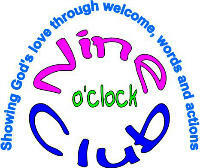 To all of our Nine o'clock Club friends who are going off to school in September we wish you lots of luck and fun times ahead! 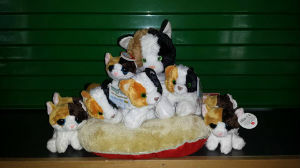 We hope that your Calico kittens behave themselves for you ... do let us know what you have decided to call them, we would love to know! 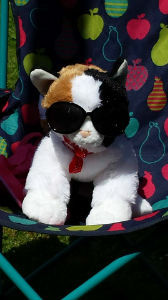 Enjoy the summer holidays ... rumour has it that Calico may be going on holidays too - six weeks shut away in the toy cupboard just wasn't really appealing to her! 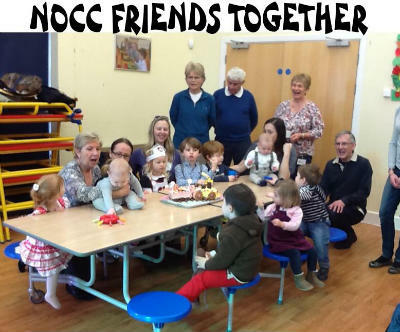 NOCC is a friendly, local group for parents/carers and their children from birth to age five years. 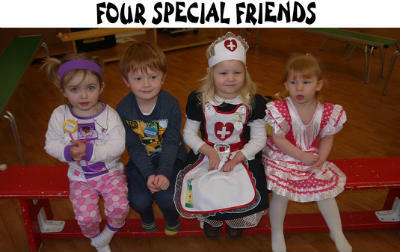 The little ones soon make new friends and there is lots of space to play in the lovely School Hall. 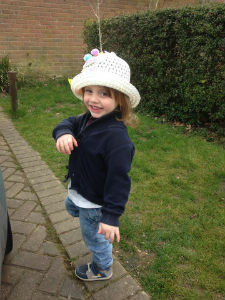 In the warmer weather we play outside in the school playground. 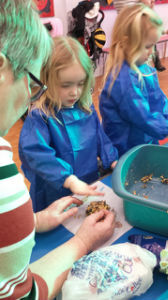 This is a Church, School, Community Project. It's friendly, it's fun and it's free. 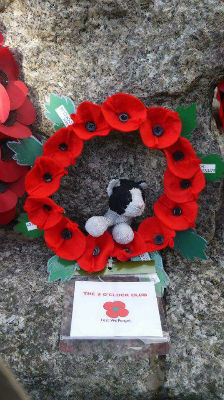 Our thanks go to Beccy and Fran, the leaders, who are doing an amazing job and giving so much of themselves for NOCC. 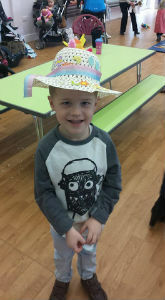 Loved all of your fabulous Easter hat creations today! 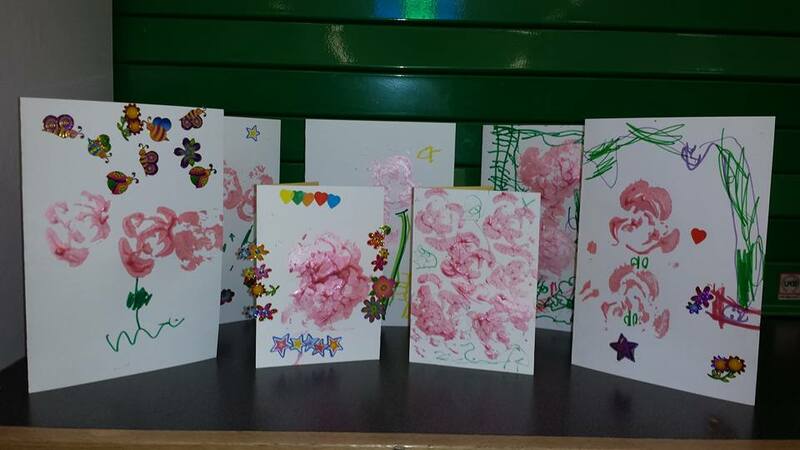 March 2016 - NOCC made these beautiful cards for Mothers' Day. WOW!! They are so pretty! 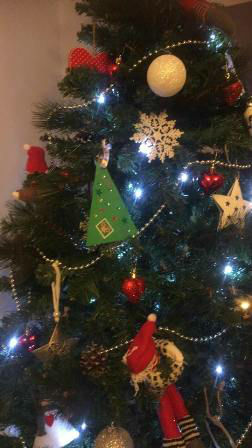 Merry Christmas to you all! 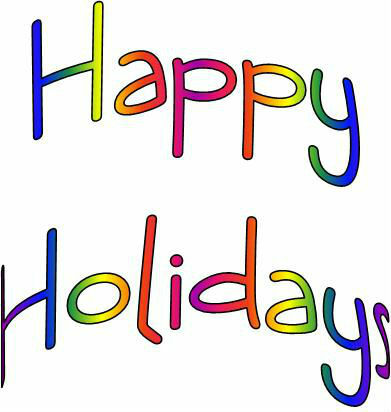 We hope you have a wonderful time! 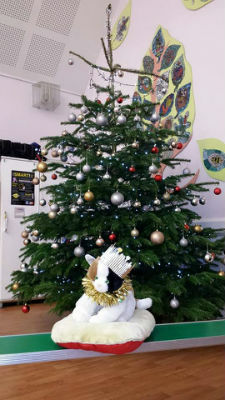 Glad tidings of great joy for NOCC - our tree was voted the visitors' favourite at the Christmas Tree Festival! 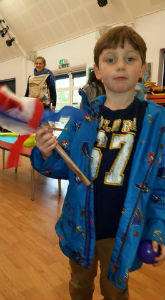 Well done to everyone for all your fabulous decorations, you did a great job! 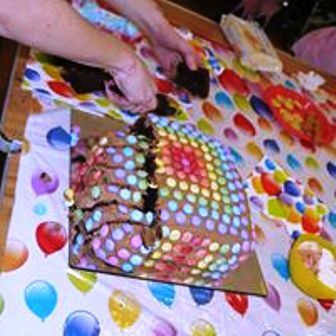 The Festival helped to raise £300 towards a toilet at the church, so all the hard work will be going towards a great cause. The group is amazing, it's a joy to be part of it! 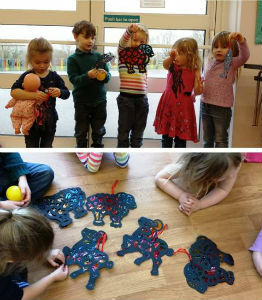 Lovely sparkly willow stars made at NOCC this morning. 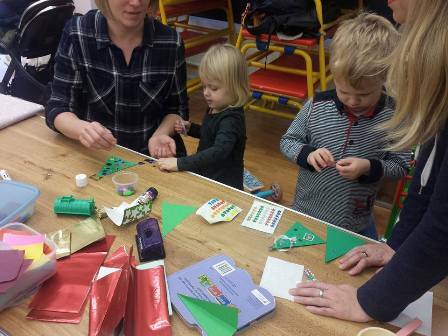 They will be used to decorate our entry to the village Christmas Tree Festival. 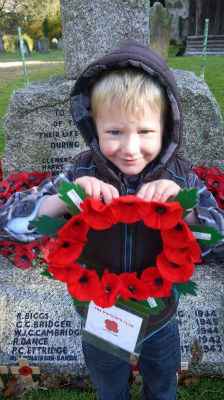 We hope you will be able come along to admire your own handiwork and that of other organisations in the village. 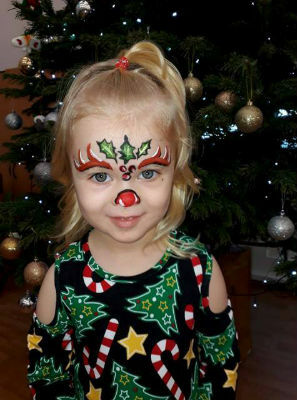 The Festival is open Saturday 5 December 10-2 and Sunday 6 December 12-3. 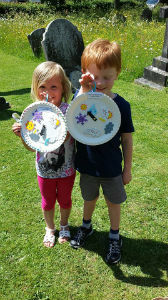 At the end of the Festival the trees will be auctioned off to raise funds for the church. The 'sticks' will be back next week for anyone who would like to have a go at some bending. 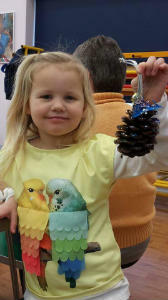 We also have another wooden craft decoration to make so together with the fir cone reindeer made last week our club tree should be a stunner! 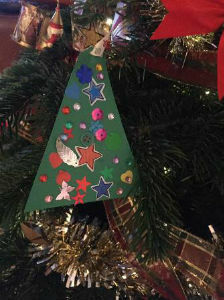 As we have been embellishing natural materials with glitter, ribbons and sparkles, we have decided to call our club entry to the Christmas Tree Festival 'The High Halden Nine o'Clock Club Naturally Nurturing Christmas Tree'. Hope you all like the sound of that. 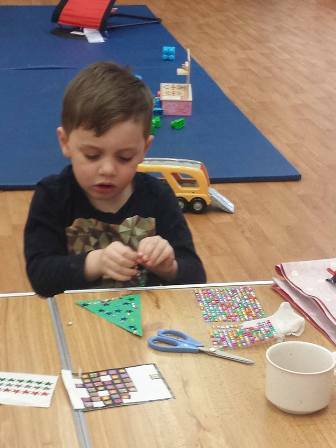 It will be a full-on Christmas crafting session after snack next week, see you all there!! 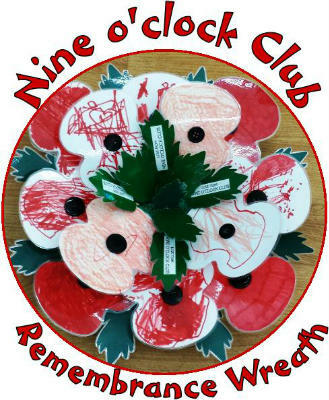 made and laid by our young children and parents of Nine o'clock Club. 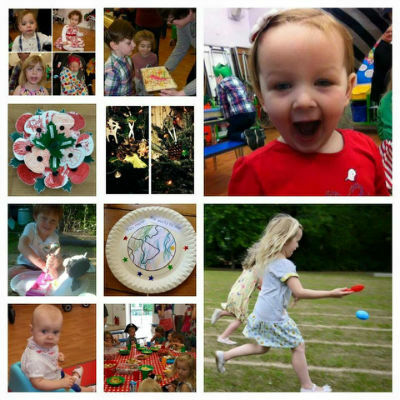 this collection of pics helps sum up what a great year it's been at Nine o'clock Club! Thanks to each and every one of you for helping to make it what it is! FOR ALL THEIR HARD WORK IN MAKING OUR LOVELY NOCC SUCH FUN. 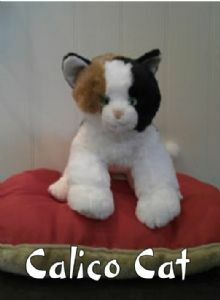 We hear that Calico Kittens are happy in their new homes ... and they have new names! 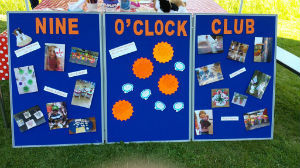 Thanks to everyone for the lovely feedback comments - it was great to have them on the display board for everyone to read at the church open day on 4 June. It's good to know people love coming to the group so much! "Fun, lots to play with. 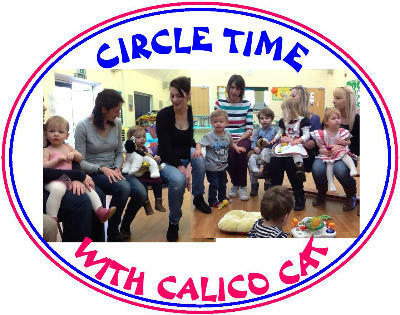 Happy and friendly"
"The Nine O'clock Club is as much fun for me as it is for my children"
"With such lovely craft ideas and the nine o'clock club welcome song to Calico, I think it is safe to say that the nine o'clock club is often the highlight of our week. 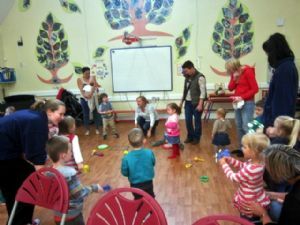 We all really love it"
"I can honestly say, I've made real friends at the nine o'clock club"
"I have a 3 year old daughter and we have been coming to 9 o'clock club since she was 18 months old. We live very close and I love having a local group for us to walk to each week. 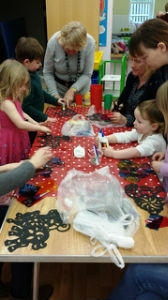 The group is very friendly and welcoming and Ella has the chance to meet and play with local friends, some of which she will be going to school with next year. 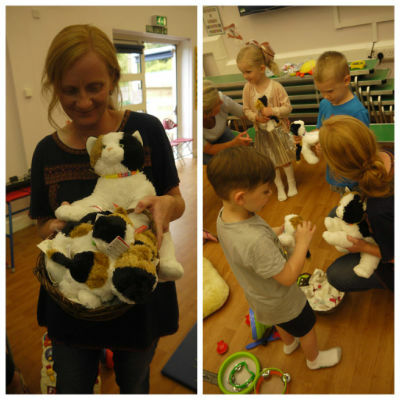 The group has lovely equipment and regular crafts/activities on offer as well as access to great outdoor space in the summer and great links with the local nursery also. I am pregnant with our 2nd child and look forward to using the group for years to come." 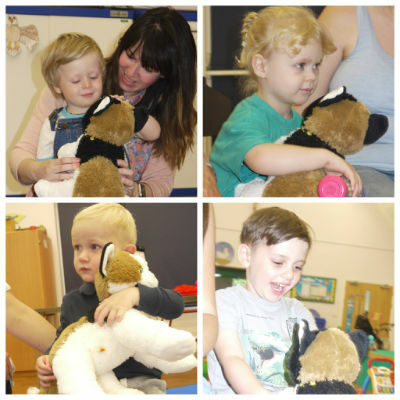 "This is a great group to attend, the people who run it are really helpful and friendly. 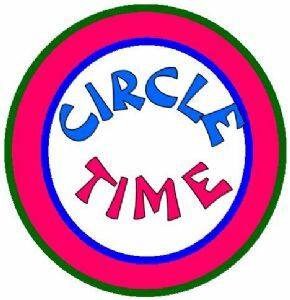 I have met great friends there and the atmosphere is relaxing enough so my clingy toddler is happy to play with the other kids who go there, giving me a much needed rest to have a coffee and a chat. 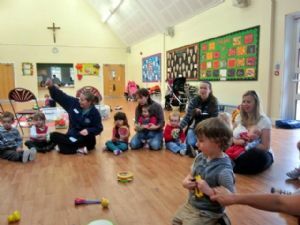 The best club in the area for sure, with singing in circle time and creative activities. 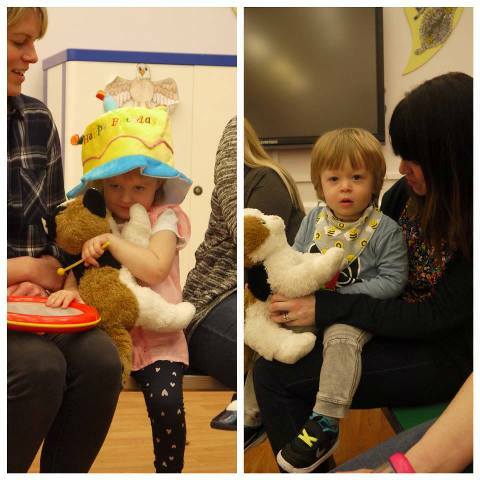 A huge thank you to everyone who works really hard to make it a pleasure to visit." 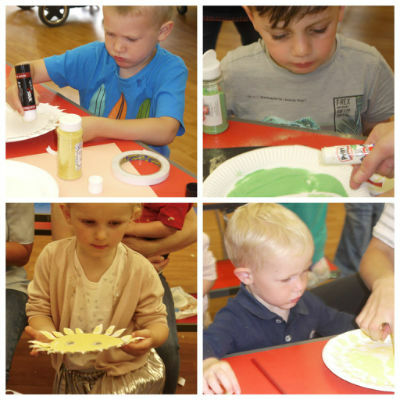 Our craft at Nine o'clock Club this week was based mostly on the upcoming Fathers’ Day but we wanted to do a craft that was appropriate to any extra special person that the children could give their crafted item to as a gift! So we went with the words "you mean the world to me!" 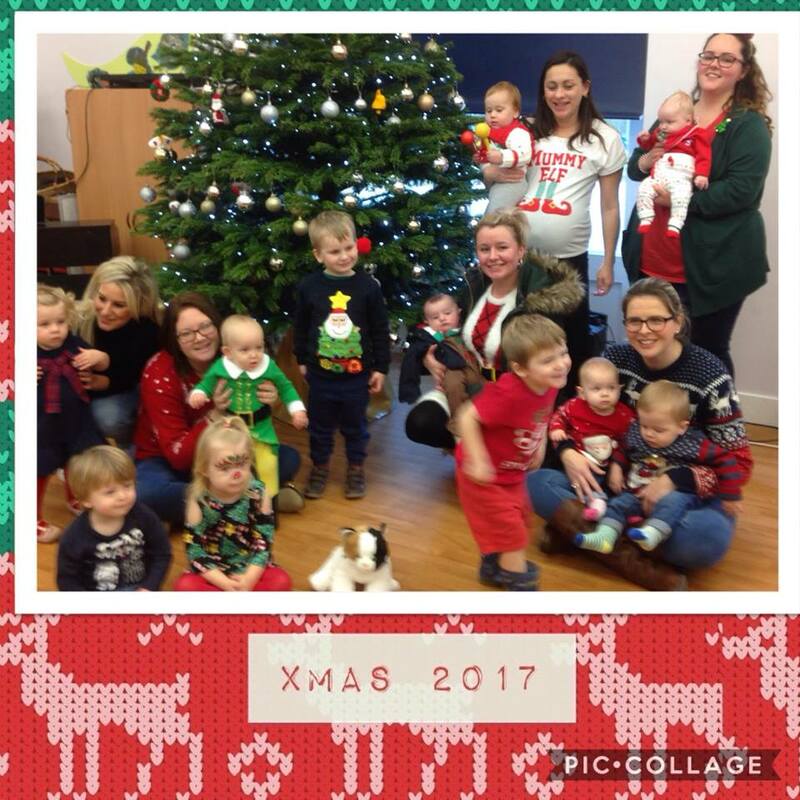 22 children and 14 adults came along … how great is that! 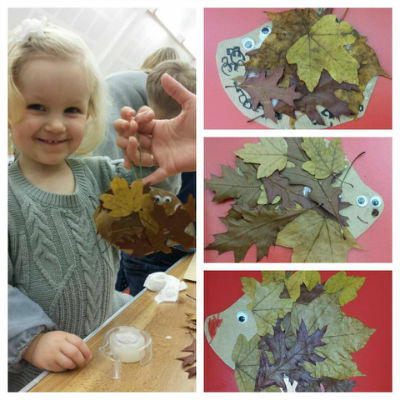 craft that was appropriate to any extra special person that the children could give their crafted item to as a gift! 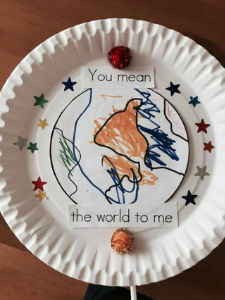 So we went with the words "you mean the world to me!" 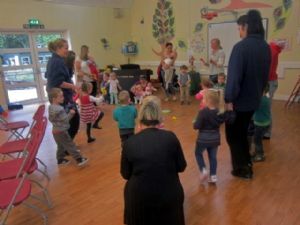 22 children and 14 adults came along … that's great! 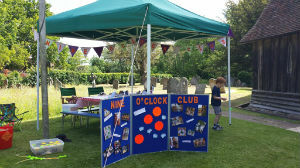 We enjoyed a sunny, if somewhat blowy day, promoting Nine o'clock Club whilst keeping a few children entertained at the Church Open Day. 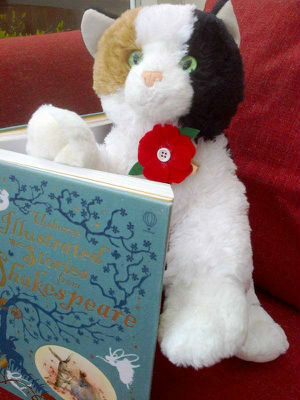 It went very well and with the possibility of a few new faces joining us over the coming weeks. 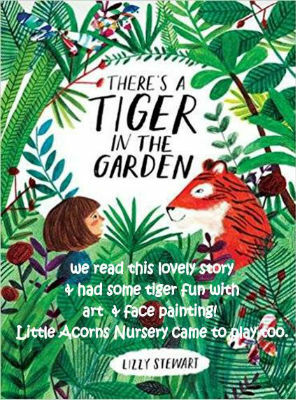 Thanks everyone for the lovely feedback comments that you sent, it was great to have them on the display board for everyone to read today! 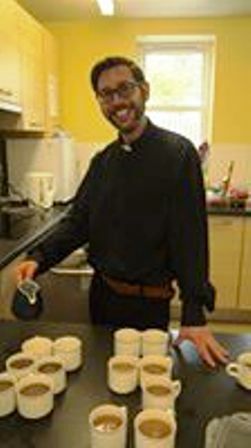 CHURCH OPEN DAY ... HERE WE ARE ... READY TO GO!! 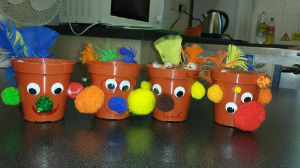 Well what a fantastic job all the crafty clubbers did today decorating and sowing their Cress Head Pots. The seeds have already swelled up and are starting to split, so it will be time for fresh cress and egg sandwiches soon. Remember to keep your Cress Heads nice and moist on top! 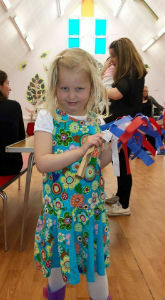 We made VE Day shakers today! 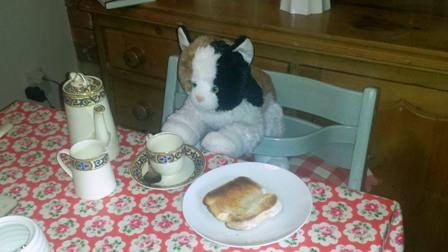 Lovely to see so many of you this morning. 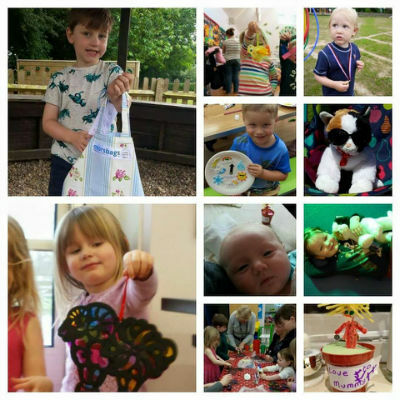 This term is a fairly short 5 weeks and only runs up until 21 May! 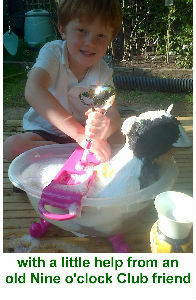 Hopefully though if this lovely weather continues we can start using the outside playground this term. 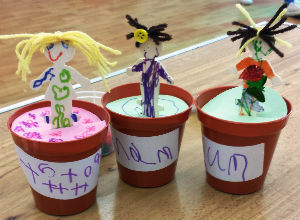 At Nine o'clock Club the children decorated some flower pot people to look like themselves or their mum and said "Thank you Mummy for helping me grow!" 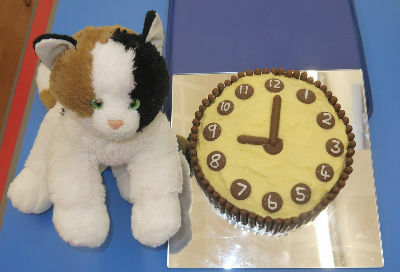 Nine o'clock Club celebrated its third birthday on Thursday 5 March with a party. 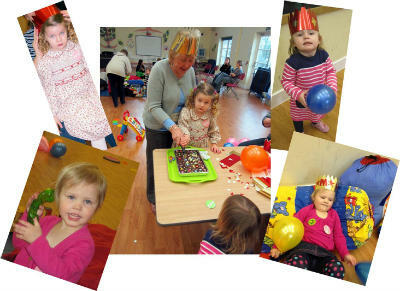 As you'll see from the photos on the above link we played some games, namely musical bumps and pin the candle on the cake! 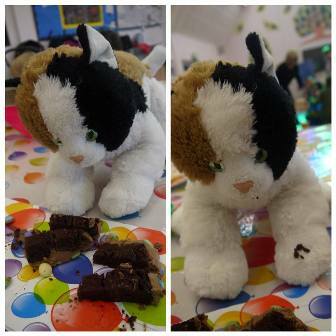 We all enjoyed some party food and with a little help from Reverend Sue we sang happy birthday and blew out some candles! It was a fun morning. 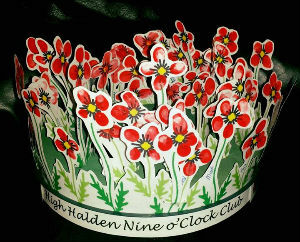 Nine o'clock Club really seems to be thriving! 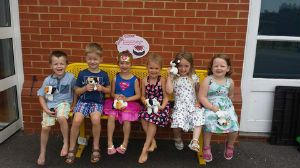 We have new friends joining us all the time, we have recently had new babies born and more babies soon to arrive! 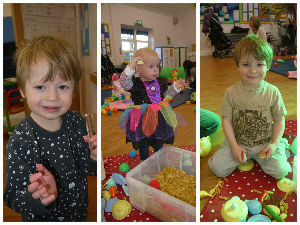 There are always so many happy faces every week, both from the children and their grown ups! 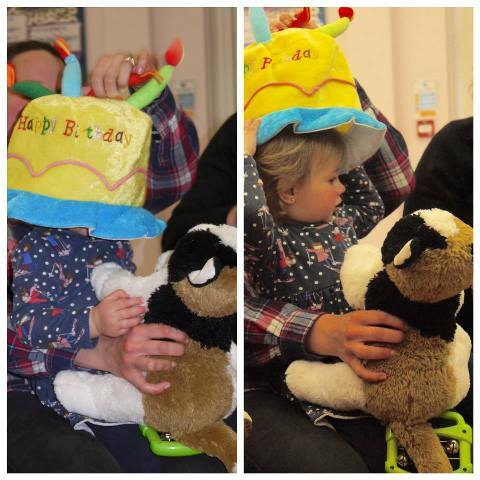 Here's to many more wonderful birthday celebrations for our group! and goat stained glass effect window decorations. 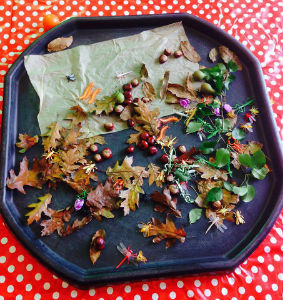 Today we talked about the birds that visit our gardens at home and how it is important to try and feed them, especially during the winter months. 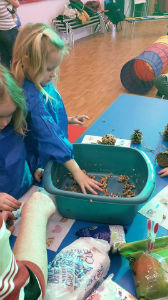 Afterwards we got stuck in with the very messy but fun job of mixing up some fat, seeds and nuts to make pine cone feeders to hang outside for them. 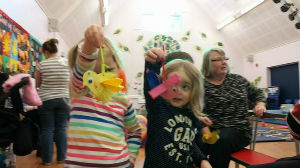 We also made some pretty hanging paper birds too. 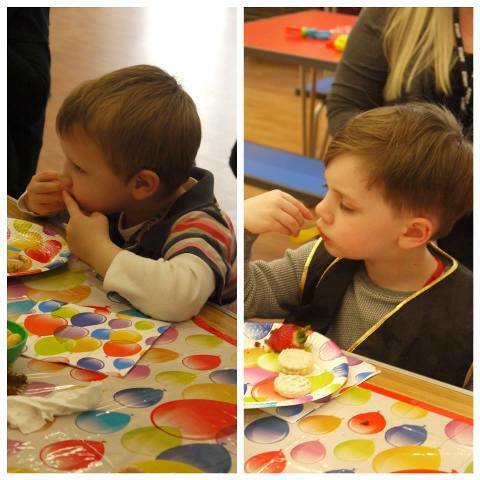 In the run up to Christmas we made Christmas cards and hanging decorations and on 18 December, our last meet before the holidays, we had our Christmas party where the children enjoyed joining in with the hokey cokey, making magic reindeer food, getting a present from the lucky dip and lots of lovely party food! 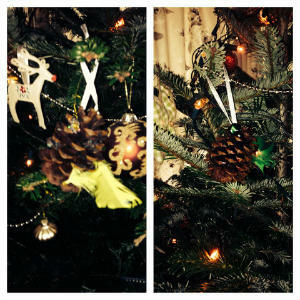 The decorations were cinnamon scented pine cones decorated with glitter and ribbon. 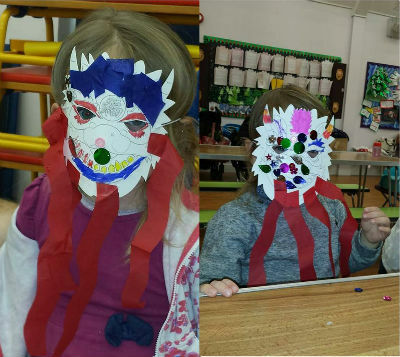 The children did a great job decorating them, as always. 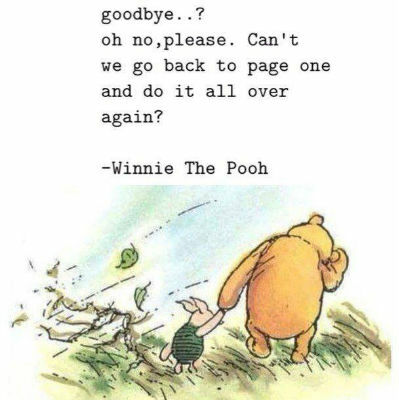 We meet again after the holidays on Thursday 8 January. 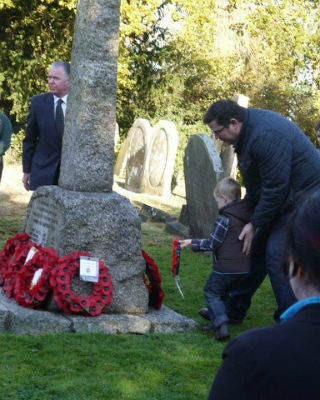 during the Service of Remembrance at St. Mary's Church on 9 November 2014. 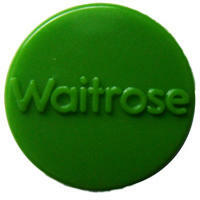 We received a cheque early in September 2014 from Waitrose - we were awarded £241! 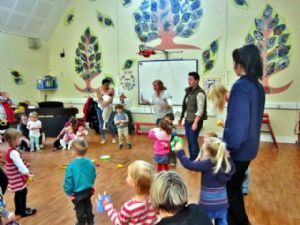 This is brilliant and will be a great help to the group for buying resources for the children. 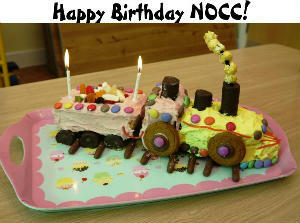 ON 6 MARCH 2014 NOCC CELEBRATED ITS 2nd BIRTHDAY! 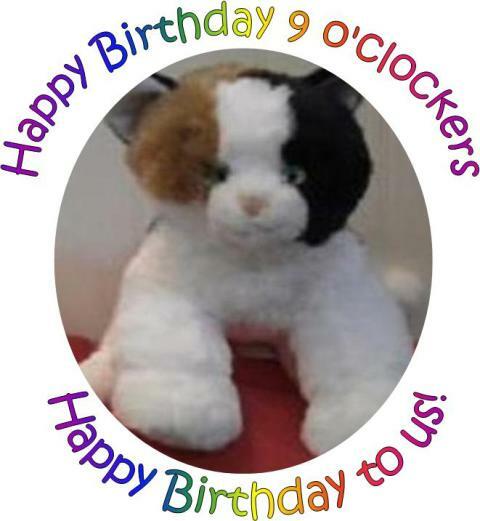 HAPPY SECOND BIRTHDAY NINE O'CLOCK CLUB! 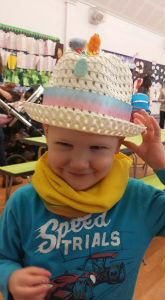 We were invited to come in fancy dress - some did, some didn't! 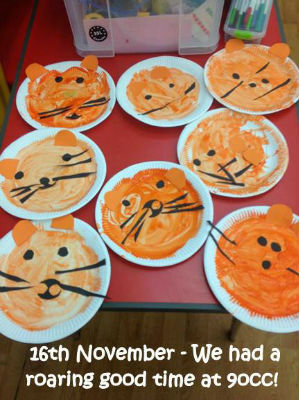 Hazel and Alan did. 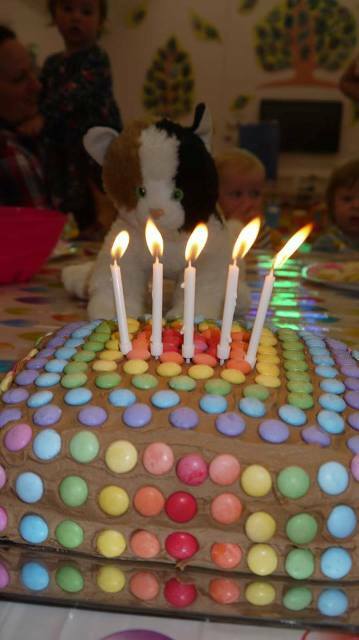 The birthday cake was made by Cally who was the first mum to book in at the club in 2012. "We love NOCC. 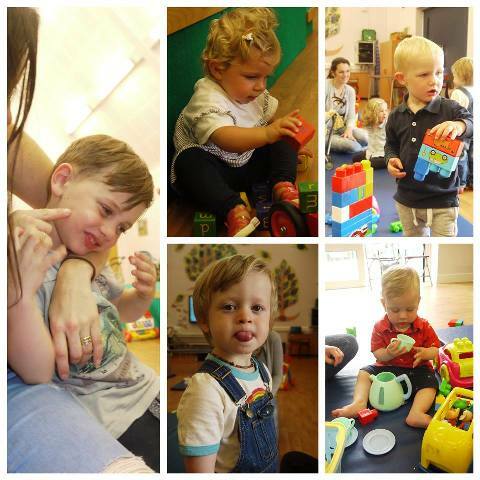 It's so well established and it makes our community so special"
and we have lots of space to play and get to know each other while our parents and carers chat. It's fun, it's friendly and it's free! Don't miss out ... come and join us. 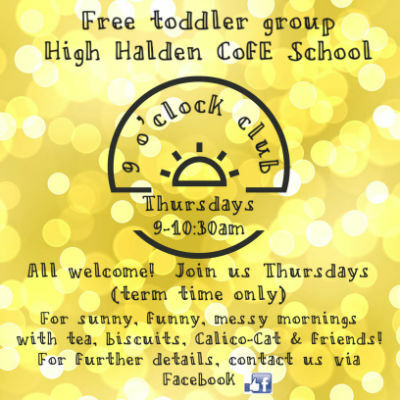 We meet every Thursday in term-time : 9 till 10.30 at High Halden School, Church Hill TN26 3JB. Please use the front door and get a warm welcome. I LOVE THE WIND IT BLOWS ROUND ME - GOD MADE THE WIND AND GOD MADE ME. 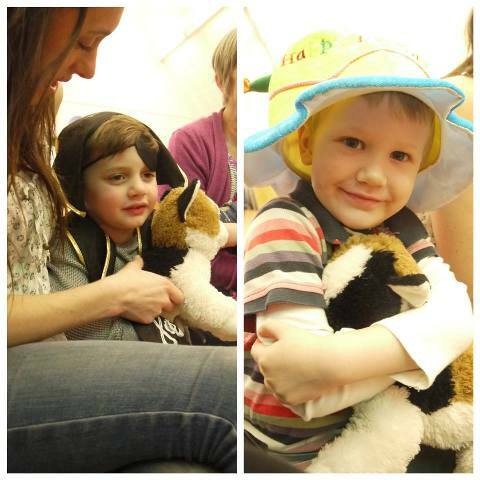 Our welcome also includes, singing, prayer, playing our instruments and dancing and story time. 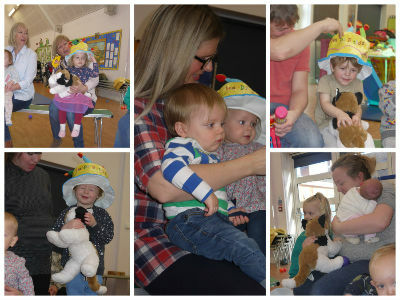 Here we are joining with some of our friends from Acorn Nursery. 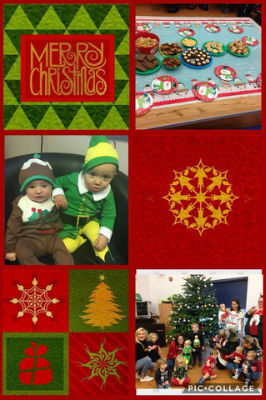 FROM ONE OF THE MUMS! I cannot believe it's been up and running for a year already! 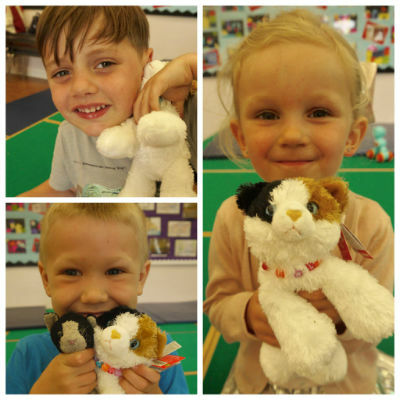 We always look forward to coming each week and have made some lovely new friends along the way. 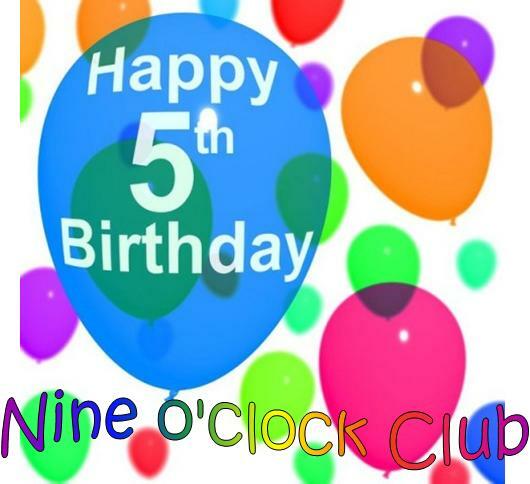 HAPPY FIRST BIRTHDAY NINE O'CLOCK CLUB! 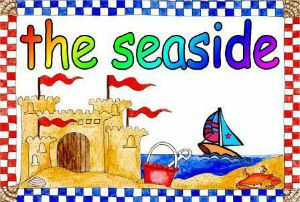 Look out for our lovely banner! Please could you help us by using the front door - just ring the bell. 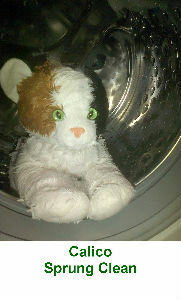 and there's a further link with a slideshow.